This luxury 5* Hotel complex is located in Scaleta a small fishing village with a wide range of shops, restaurants, taverns and bars, the beach which has changing cabins is reached by a tunnel and lift a few metres from the hotel, there is a regular bus service to Rethymno town 11 kilometres away, with the beautiful landscape gardens and the wide range of facilities this resort has to offer, guests will have an unforgettable vacation.HBB/FBB - during meal times in restaurant unlimited wine, beer, mineral water, soft drinks, juices, ouzo FACILITIES:Fresh water outdoor swimming pool, separate children&8217;s pool, spacious sun terraces with loungers and sun shades, a poolside bar for drinks and light snacks, for children a playground, animation programme and mini club. Guests can also enjoy table tennis, darts, volley ball, badminton, water polo, carabine shooting and air gun shooting, mini bowling, archery and water gym, tennis courts and billiards are available (extra charge). Water sports, sun beds and umbrellas are available on the beach ( extra charge). 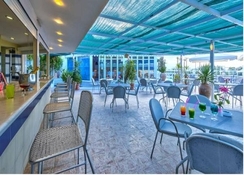 The hotel has spacious lounges and TV/video room, a fully air conditioned conference room for up to 180 persons, a lobby bar to enjoy an evening cocktail and admire the sea view, a restaurant providing excellent full buffet breakfast and several dinner choices, a fully air conditioned disco, Greek evenings, BBQ and folklore nights with live music. 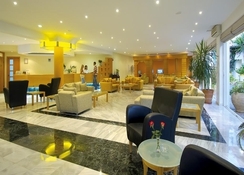 This hotel, situated in Scaleta, is 11 km away from Rethymnon and 65 km from Heraklion. Scaleta is a small village with hotels, restaurants, taverns, bars, discos and shops. The organised beach can be reached through a tunnel and lift 100 m from the hotel. 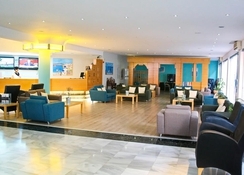 There is a regular bus service from the hotel to Rethymnon.--This resort hotel complex, that combines features of Greek and modern architecture, consists of 60 superior rooms and junior suites. The combination of luxury and tradition together with its beautifully landscaped gardens built on 35,000 mÂ² of land offers an unforgettable holiday. 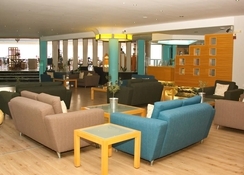 It is air-conditioned and has a lobby, 24-hour check-out service, TV room, restaurant, Internet access (subject to fees) and a laundry service (subject to fees). Younger guests are sure to enjoy the playground and kids' club (the latter subject to fees).--All the luxuriously furnished suites and rooms have a private bathroom, toilet, balcony or terrace, music in bedroom and bathroom, direct dial telephone in bedroom and bathroom, hairdryer, satellite TV, radio, individually-adjustable air conditioning and heating, safe (subject to fees), refrigerator, tea and coffee making facilities, beach/pool towels, bathrobes and slippers. 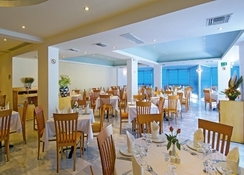 There is complimentary wine, fruit and flowers on arrival.--The entertainment and activity programme includes Greek evenings, folklore nights (with live music), BBQ, pool parties, shows, Syrtaki and Greek language lessons, walks to the neighbourhood villages, open-air theatre for 600 persons and nightclub/disco (air-conditioned). Guests may take advantage of the outdoor swimming pool with children's pool and water aerobics, massage treatments, aerobics, volleyball and basketball free of charge. 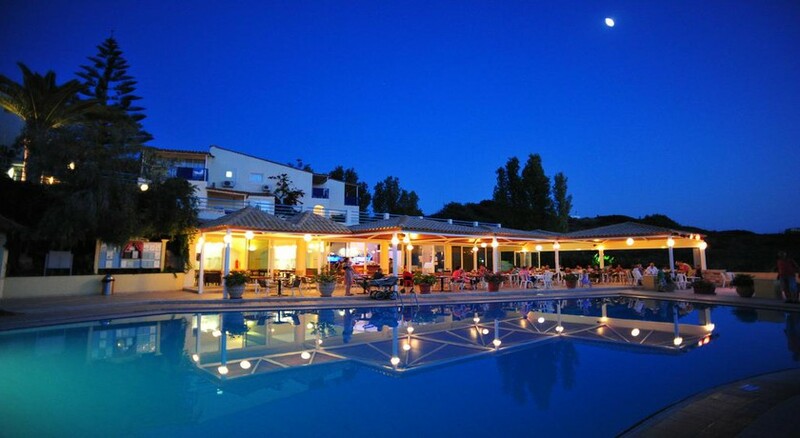 Tennis, table tennis, archery, mountain biking, pool/snooker and minigolf are also available (all subject to fees). The nearby beach is sand/gravel and comes with sun loungers and parasols (subject to fees), changing cabins and showers.